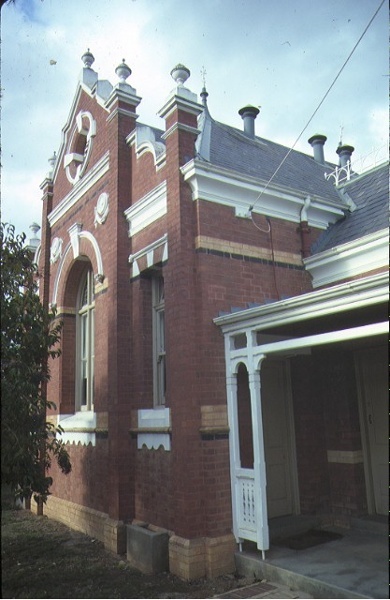 The Former Court House, erected in 1889, was the second court house to be erected in Rochester, an important town along the Melbourne-Bendigo-Echuca railway line, opened in 1864. The three-roomed courthouse designed by the Public Works Department and built by T. Walsh, is constructed of red brick with polychromatic decorative detailing as well as cement rendered details such as parapets, chimney tops, orbs and emblems. Cast iron decoration adorns the ridge of the hipped and gabled slate roofs. The asymmetrical design has an entry at the side protected by a small timber verandah with decorative detailing. The court house closed in 1989. The Former Court House, Rochester, is of historical and architectural significance to the State of Victoria. The Former Court House, Rochester, is historically significant for demonstrating the spread of law and order across the state, which is indicative of the progress of Victoria’s development. 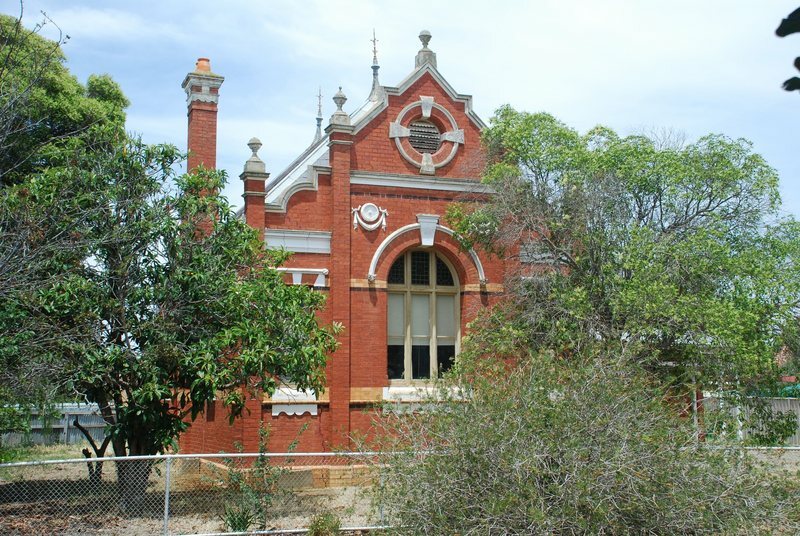 The Former Court House, Rochester, is architecturally significant as a substantially intact example of a late nineteenth century rural court house.